Galax, VA -- Some of the biggest names in folk, bluegrass, and Americana, including the finest dobro player in contemporary acoustic music and the most highly decorated female musician of all time, will come together to honor the late Joe Wilson on Friday, September 2, 2016, at the Blue Ridge Music Center, milepost 213 on the Blue Ridge Parkway. This one-day festival will include performances by Jerry Douglas, The Whites, and special guest Alison Krauss, as well as musical tributes from Wayne Henderson & Friends, The Jeff Little Trio, Linda & David Lay, Elizabeth LaPrelle, Phil Wiggins, The Barr Family & Tony Ellis, The Hurdle Brothers, and Frank Newsome. Nashville, TN -- Country’s Family Reunion, which celebrates the greatest performances, stories and songs of Country music, will debut its newest series this May on the RFD-TV network. Recognizing the long-standing cornerstone of Country music, "Salute to the Opry," will feature performances by Roy Clark, Ricky Skaggs, Bill Anderson, Jan Howard, Jim Ed Brown, John Conlee, Gene Watson, Jean Shepard, Riders in the Sky, George Hamilton IV, The Whites, T. Graham Brown, The Opry Square Dancers, Ray Pillow, Billy Dean, Jimmy C. Newman and Jeannie Seely. These artists will share their personal stories and reminisce about their moments on Country music’s famed stage. 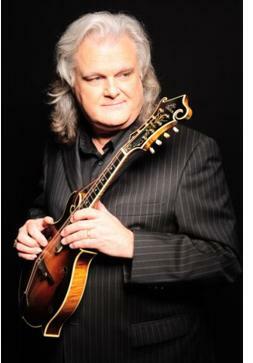 Nashville, TN -- Bluegrass music artist Ricky Skaggs celebrated three decades as a member of the Grand Ole Opry last night in Nashville, Tennessee. The 14-time Grammy® winner was inducted into the Opry on May 15, 1982. His milestone anniversary will be celebrated with performances by the honoree, fellow Opry members Alison Krauss, Josh Turner, and The Whites, plus special guests two-time IBMA Entertainers of the Year Dailey & Vincent. Nashville, TN -- The Grand Ole Opry® presented by Humana® will honor one of the most awarded artists in country and bluegrass music, Ricky Skaggs, on his 30th anniversary as an Opry member during the Tuesday Night Opry May 15, 2012. The 14-time Grammy® winner was inducted into the Opry on May 15, 1982. His milestone anniversary will be celebrated with performances by the honoree, fellow Opry members Alison Krauss, Josh Turner, and The Whites, plus special guests two-time IBMA Entertainers of the Year Dailey & Vincent.